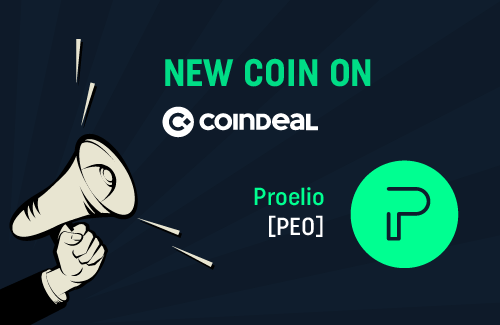 Proelio is available on CoinDeal! You can trade on the PEO/BTC market now. Have you heard of Proelio? New market on CoinDeal is now available! From today you can trade on the PEO/BTC market. Do you know, Proelio means involvement in Latin? Proelio's goal is to make PEO a universal means of payment as a commission on real estate platforms. They propose large profits by controlling and rationing units and masternodes.